I bake these every December before Christmas. 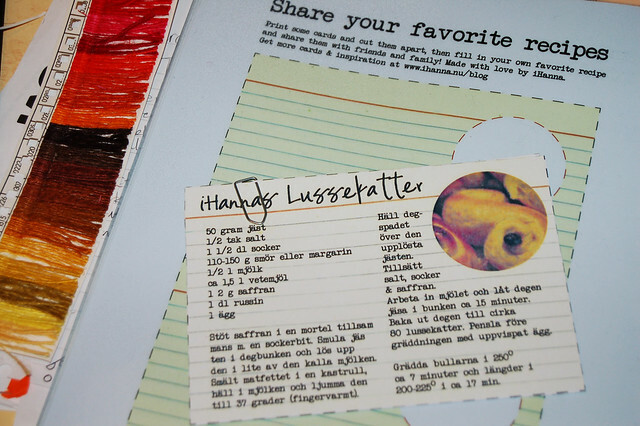 Swedish they are called lussebulle and while I did my own recipe card I created a free PDF for you all to download. 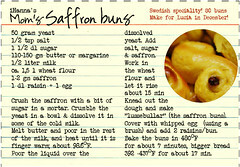 Above is a PDF with two empty cards that you can use, here are the recipe card with saffron buns on. Enjoy! * Printable recipe for saffron buns (pdf) – print and bake em’! * Recept på lussebullar (pdf) – skriv ut och baka! 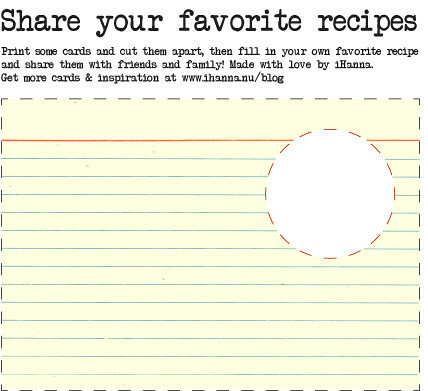 the recipe in Swedish! With this little gift I wish you a Great December and a Merry Christmas! This entry was posted in Home Comforts, Organizing and tagged baking, food mood, index card, lucia, printable. Bookmark the permalink.